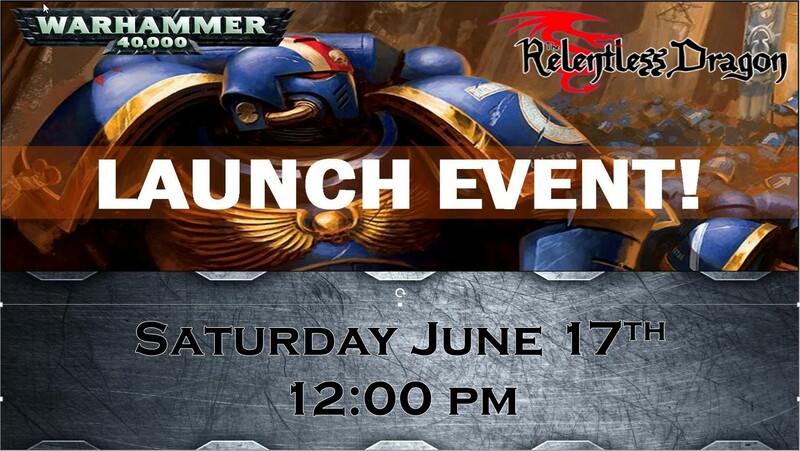 Join us for the exciting worldwide release of the 8th edition of Warhammer 40K. All rule books, boxed sets, Index books, and accessories will be available for sale, or pick-up if they were pre-ordered. Bring your models and play a few games of 8th edition to learn the new rules system. We will also be hosting a “paint and take”. Pick up a free Primaris Space Marine sprue (single figure) and assemble and paint it. We have sprayed all the sprues with primer, so they will be ready to go. Bring your own modelling and painting supplies, or use ours! Receive tips from other hobbyists on assembling and painting miniatures. Limit one space marine per person, no purchase necessary, supplies are limited!